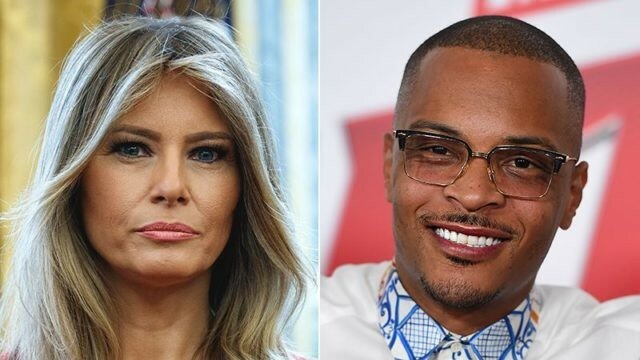 Melania Trump has slammed American rapper, T.I. for releasing a video that portrays Melania in a rather obscene light. The video which was released on Friday clearly shows President Trump leaves the White House after which the Atlanta-based rapper smoking a cigar in the Oval. “Melania lookalike” walks in wearing the infamous “I Really Don’t Care, Do U?” jacket (the same one she wore to the see the migrant children in Texas) before she climbs on the table naked and shows TI everything. T.I tweeted, “Dear 45, I ain’t Kanye” before releasing the video.